Happy Tuesday friends! Today is going to be short and brief…because my first niece was just born! I can’t wait to go meet her today! And I’m excited to see what Leighton thinks about her. And before we know it, I’m sure the baby will be wearing girly little baby dresses and baby bows. You could say that she will definitely be spoiled! 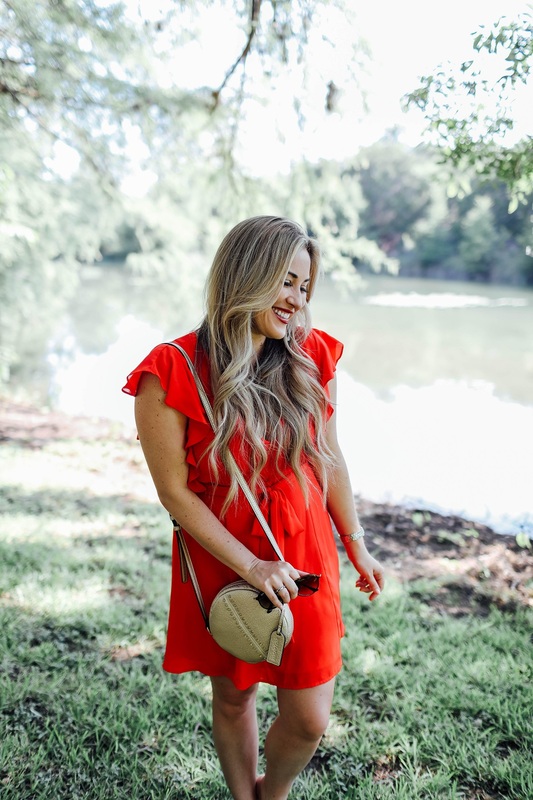 I got this adorable little flutter sleeve dress from Nordstrom and love it! It’s so flowy, lightweight and perfect for summer. 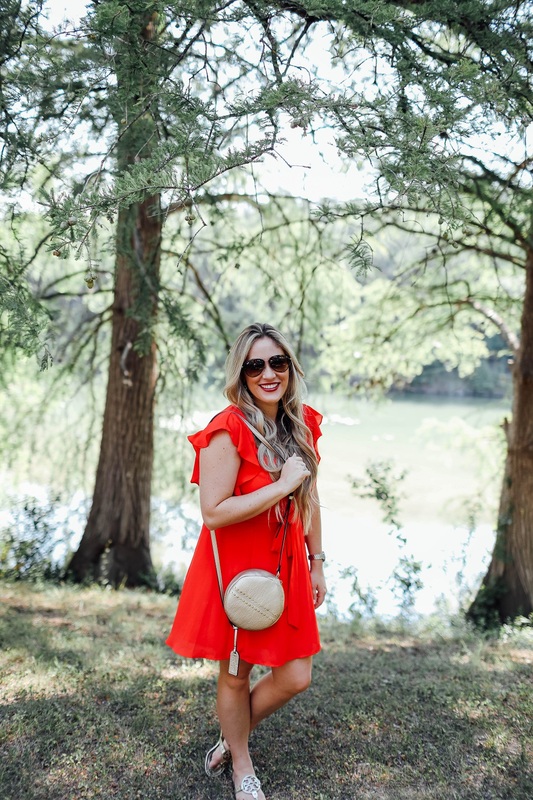 I don’t typically wear red a lot, but I loved this vibrant shade and thought it really stood out. 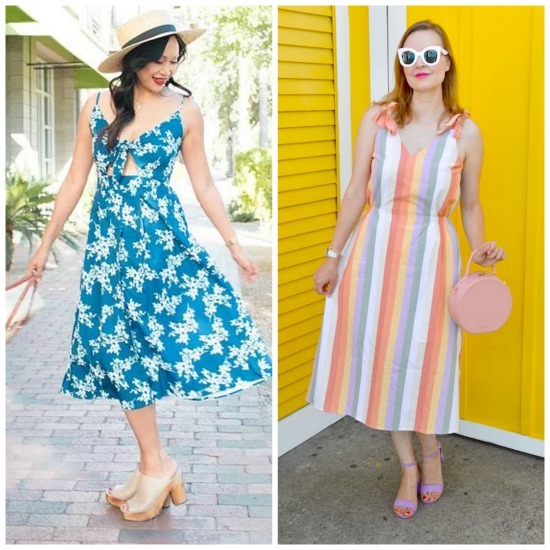 What are some of your favorite cute summer dresses? Let me know in a comment below! 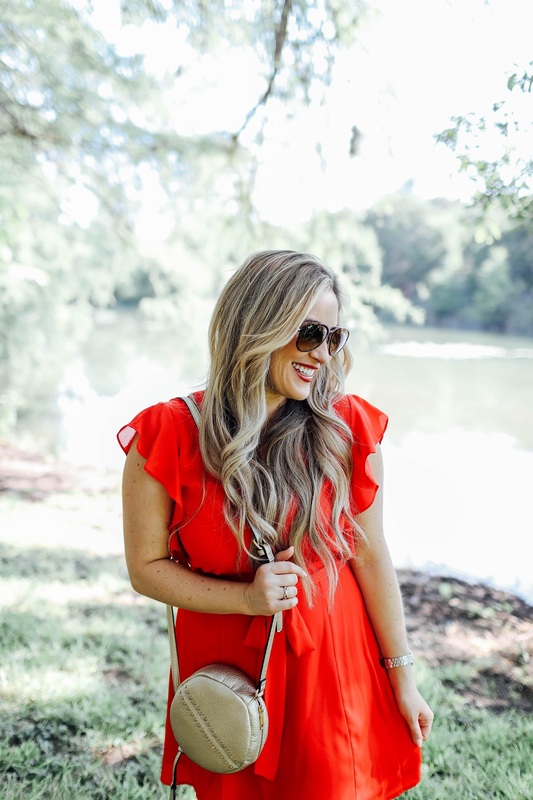 The featured bloggers are The Melissa Lifestyle and Hello Katie Girl because we loved their Tie Tops & Dresses from last week’s linkup! 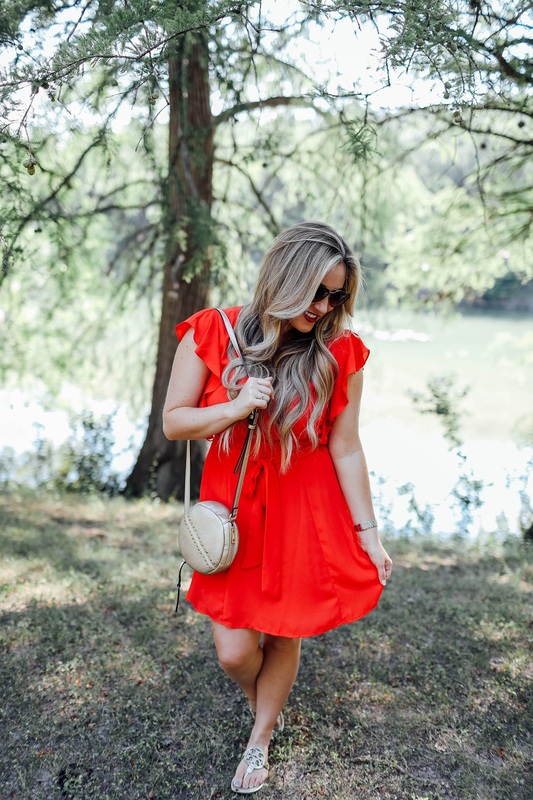 I love the fun, poppy color of this dress! It looks fabulous on you! This dress is so beautiful! Red is really a great color on you, my friend. Congratulations on your new baby niece! My nephew and his wife just had their 3rd baby last week….a little boy named Louie and my first grand-nephew! They have 2 little girls already. I don’t feel old enough to be a grand-aunt to 3, but there you have it! Enjoy that new little one! Congratulations Laura on your new neice! I can’t believe my nephew is 8 months old already. you look beautiful in this dress, its flowy style and red looks great on you, my favorite color. That dress looks gorgeous on you, I love the colour!! You are such a beauty! 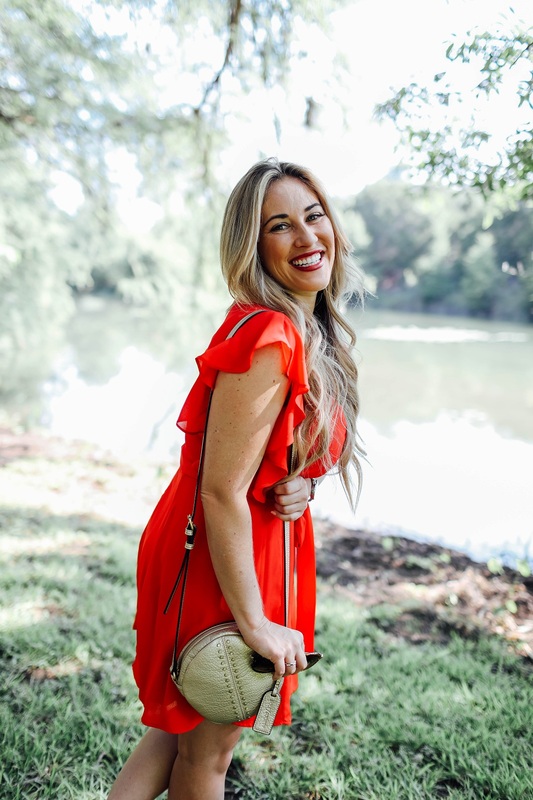 Love this dress on you and your smile is so contagious! Awww congratulations on the new blessing to the family! How exciting! 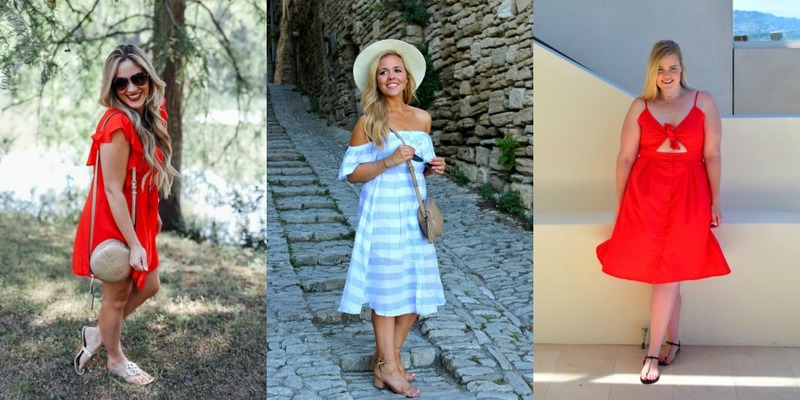 Love this summer dress on you! 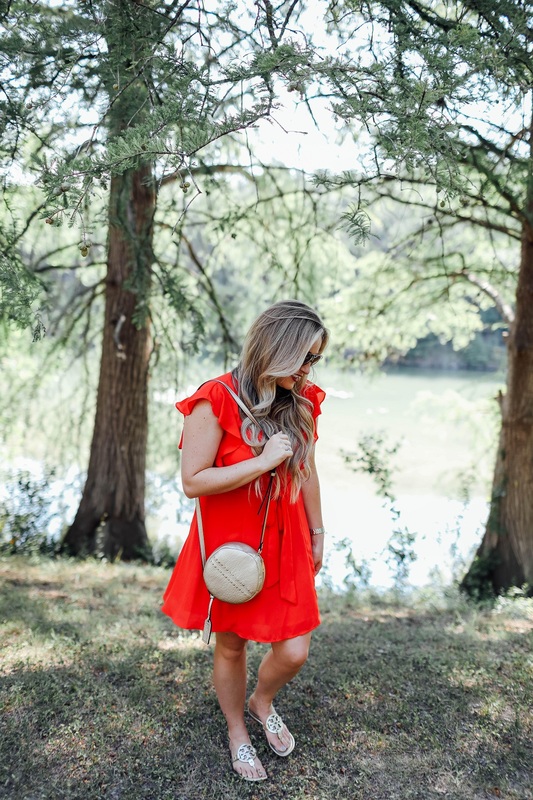 The fabric and the ruffles make this a perfect little summer dress. I personally would wear this for fall with a cute chunky sweater and a pair of ankle boots too! I love the bright shade of red! I love that bold red color on you! 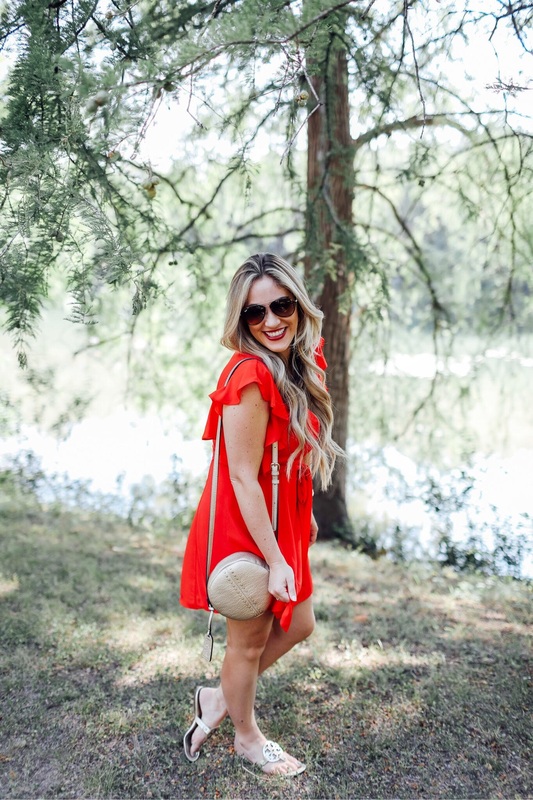 What an easy breezy outfit! I love this color on you! such a pretty sundress. Those sleeves are so cute! And I love this fun color on you! Such a cute look dear! So breezy and chic!